Now is the time to teach your child about the worship service. Whether a child is 2 or 12, much can be done to lead our children into the riches of the Divine Service. The Lutheran Church—Missouri Synod offers resources to help parents and pastors instruct children about what is included in the Divine Service — and why they are included. “Kids in the Divine Service” is a series of bulletin inserts featuring seasons of the church year — Advent, Christmas, Epiphany, Lent, Easter and Pentecost. 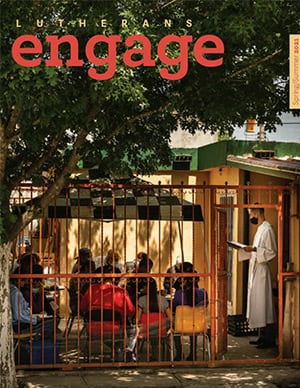 The series also features the liturgy, sanctuary and general information about the Divine Service. LCMS Worship offers “Kids in the Divine Service” for the Lutheran Service Book. “Impress these words upon your children. Talk about them when you sit at home and when you walk along the road, when you lie down and when you get up” (Deut. 6:7). The Word of God we receive in the Divine Service goes with us, out into the world and into our everyday callings as parents and children. “Kids in the Divine Service” is written for parents and children to read and talk about together. Although some of the vocabulary and concepts may be best understood by children 10 years of age and older, there are many parts of “Kids in the Divine Service” which can be understood, experienced and appreciated by younger children. Whether a child reads or is read to, parents and children are encouraged to work through the bulletin inserts together and answer questions as they arise. Parents will probably learn something, too. We pray “Kids in the Divine Service” will be a blessing to you and your congregation. “Los Niños en el Servicio Divino” es una serie de boletines para el Año Eclesiástico — Adviento, Navidad, Epifanía, Cuaresma, Pascua y Pentecostés. “Y se las repetirás a tus hijos, y hablarás de ellas cuando estés en tu casa, y cuando vayas por el camino, y cuando te acuestes y cuando te levantes” (Deut. 6:7). La Palabra de Dios que recibimos en el Servicio Divino va con nosotros, hacia todo el mundo, y en nuestro llamado como padres e hijos. “Los Niños en el Servicio Divino” es escrito para que los padres e hijos lo lean juntos y hablen acerca de lo que leyeron. Aunque algunos conceptos y vocabulario pueden ser entendidos mejor por niños de diez años en adelante, hay partes de “Los Niños en el Servicio Divino” que pueden ser entendidos, experimentados y apreciados por niños menores. Si un niño lo lee o un padre se lo lee, ambos son animados a leerlo juntos y responder a preguntas que surjan. Quizás los padres probablemente aprenderán algo, también. Oramos para que “Los Niños en el Servicio Divino” sea una bendición para usted y su congregación. No requiere permiso si va a reproducirlo para uso individual, de la iglesia o la escuela. The Children Making Music DVD inspires youth and encourages church leadership to promote music education for worship. 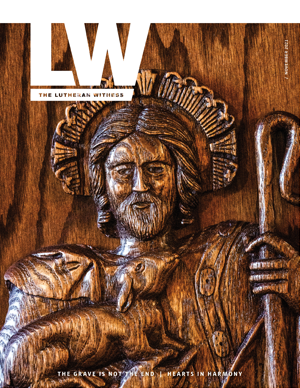 The LCMS presents articles written by scholars who have researched children in worship and others with first-hand experience involving youth in the church.